Skid Row bassist Rachel Bolan says it’s not true that a fallout between he and Sebastian Bach is preventing a classic lineup reunion. He insists Snake Sabo and Scotti Hill both have their own reasons for not wanting to work with Bach again. Bolan tells Legendary Rock Interviews: “I’d really rather not talk about him – but I can say I think everybody has a beef with him, honestly. 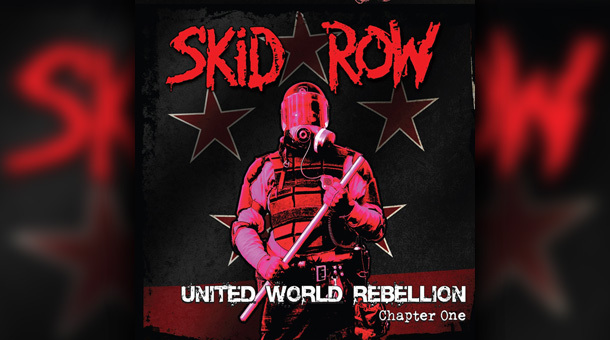 Johnny Solinger has fronted the band for 14 years now, and the bassist sees no reason why that might change – especially since they’re so pleased with new EP United World Rebellion Chapter 1, out on April 15. He feels the new work harks back to their Slave To The Grind era. “When Snake and I were writing we purposely didn’t listen to the radio,” he says. “Instead we listened to the stuff that influenced us growing up, the stuff that basically helped us write the first two records. And his message to those who still hold out hope for Bach’s return is: “Johnny’s here to stay. If people aren’t getting it by now, they’re probably never going to get it.